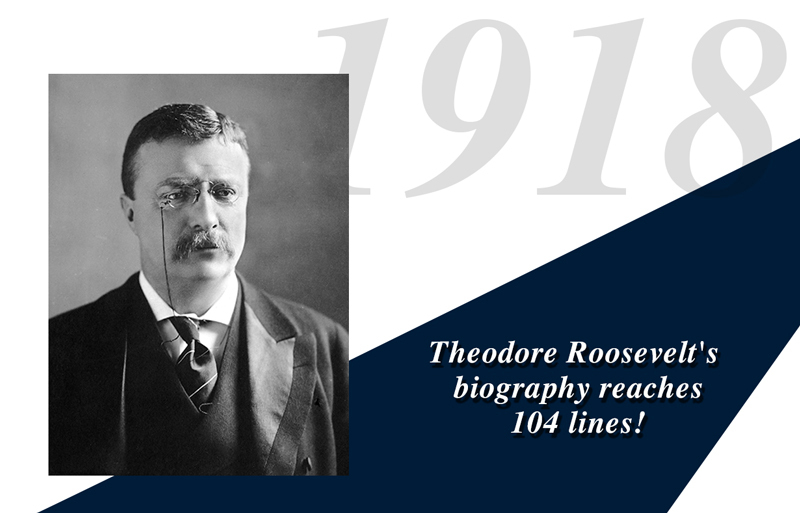 Home | Milestones | 1918 — Former President Theodore Roosevelt’s biography reaches 104 lines! In the 10th Edition of Who’s Who in America, the length of former president’s biography sets a record for presidents. (A record that still stands). He increases the length of his biography from 54 lines to 104 between 1911 and 1918, by principally adding his extensive list of book titles and achievements in the literary field.